Paddywax Tobacco & Patchouli Diffuser is smoky tobacco & vintage patchouli fragrance notes, and all the calm of Apothecary candles without the flames. Flip the reeds for a fragrance refresh! 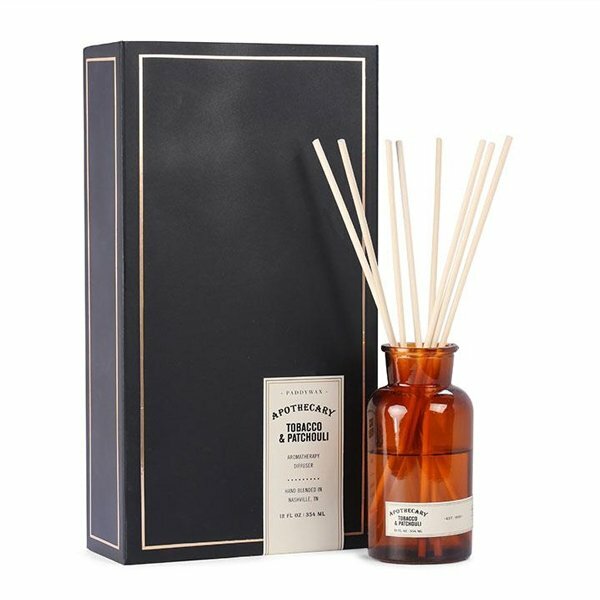 Paddywax Apothecary Candle and Diffuser Collection includes old world Apothecary bottles in deep amber filled with the perfect remedy of fragrance blends.